Why Obama should talk about human rights. 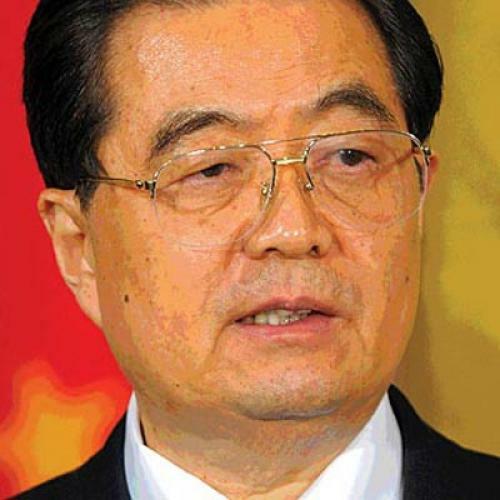 Last week, on the same day that Hu Jintao was dining with Barbra Streisand and Jackie Chan at the White House, there was another piece of less welcome news about China: According to a statement issued by Chinese Human Rights Defenders, a network of activists, Hu’s government had recently disseminated a list of “requirements and prohibitions” for journalists during the coming year. The rules included a ban on the use of the phrase “civil society.” This revelation was not front-page news, of course—and, in the sense that it represented nothing out of the ordinary, it shouldn’t have been. Still, it offered a more accurate glimpse into the Chinese government than anything we might have learned by watching Hu mingle with pop culture icons. One is not supposed to make too big a deal about such things in official Washington; doing so, especially when a foreign dignitary is in town and when there is a state dinner to be thrown, is considered a display of poor manners. Thus, when Harry Reid identified Hu as a dictator last week, he was widely denounced. But was Reid really so far off the mark? “Maybe I shouldn’t have said dictator,” he subsequently explained, “but they have a different type of government than we have and that is an understatement.” That is exactly right. It is true that Hu himself does not personally enjoy the powers that we typically ascribe to dictators; as Joshua Kurlantzick documents in “The Belligerents” (page 14), leaders of the Chinese Communist Party are now far less powerful than they once were, their authority having been diminished by the rising influence of the People’s Liberation Army, among other groups. But, while Hu may not himself hold absolute power, the Chinese government is still very much an authoritarian regime. There is no reason American politicians should shy away from saying so—no reason to roll out a red carpet for a repressive leader without also taking the opportunity to remind him that we are appalled by what he does to his own people on a daily basis. Does President Obama understand the importance of this? It is difficult to tell. He began his presidency by seeming to downplay human rights—especially in America’s dealings with the Chinese government but also in his approach to the 2009 crackdown in Iran. He seemed inclined to view the business of foreign policy as a series of grand bargains, in which the United States must put aside some of its most cherished principles—often preemptively—as a demonstration that we are eager to negotiate in good faith. But, while this may have struck the president as good politics—after all, it has sometimes worked for him domestically, as with the recent tax-cut agreement—this approach did not seem to charm or mollify the decision-makers in China, many of whom are crude nationalists. Indeed, there is little indication that it led to anything positive at all. So what happened when Obama decided to confront Hu publicly about these issues a bit more vigorously than he had before? The remarks, to be sure, were still relatively cautious, but they were a positive step. And one unmistakable lesson to draw from them is that downplaying the importance of human rights is not, by any stretch, the cost of entry to serious engagement with the Chinese government. Obama was able to place more emphasis on human rights and still address other topics as well. The bad news, of course, is that Obama’s words didn’t make China any less repressive, at least as far we know. Neither Obama’s comments nor Hu’s response to a journalist’s question about China’s human rights record were widely disseminated at home; after all, a media that isn’t allowed to use the term “civil society” isn’t going to play up these sorts of embarrassments. But liberty promotion is a long game—an unglamorous, workmanlike, slow-moving game. As our experience with the Soviet Union shows, it may take decades of raising the issue of human rights with the Chinese government, day in and day out, in public and behind closed doors, to make any difference at all. Obama seems to be starting to grasp this, but we want to see dramatically more: We want to see him press these issues loudly and frequently, without apologies. The long game on human rights is not going to help Obama win reelection or secure him a boost in the polls. But speaking frankly with Beijing about universal values—particularly at a moment when China’s political structure is becoming ever more uncertain and a new generation of leaders is taking over—is essential to conducting an enlightened foreign policy. And it is never a waste of time. This article ran in the February 17, 2011, issue of the magazine.